Accord LMS includes an integrated Content Management System to provide complete customization over your branding and layout. The Accord Learning Management System (LMS) is built on and tightly integrated with an enterprise class Content Management System (CMS) provided by DNN Software. The DNN CMS is used by more than half a million corporations, government agencies and educational institutions to provide their primary web presence. In addition to extensive content management features, the DNN CMS supports hundreds of third party extensions providing a wide range of community and business functions. Schedule a free demonstration of this integrated CMS LMS today. What would you like today, tomorrow or next year? DNN Platform is a free, open source, extensible, secure, and scalable content management system that organizations around the world use for their internet and intranet presence. The Accord LMS ships with the DNN CMS Platform. 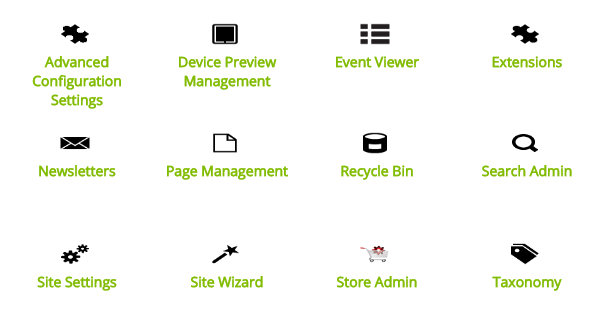 Evoq Content is a commercial DNN product that provides content staging and approval workflow, SharePoint Connector, web farm support, advanced analytics and other features to provision an enterprise web portal. 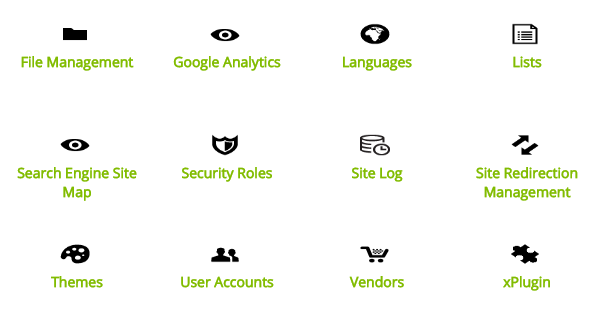 DNN Store offers hundreds of low cost extensions that easily plug and play into the portal framework. The Accord's flexible LMS allow easy integration, utilization and tracking of blended learning from any source. We wanted an LMS that was integrated with a CMS, this would allow us to combine the training and marketing side of our website into one application. Build any kind of website you want. Versatile Platform - DNN supports corporate, governmental, educational or community websites. The Accord LMS can be a central feature or just one of many. User Friendly - all website and LMS features are managed online via a standard browser. Nothing to download or install. Extensible - dozens of core functional modules are included at no extra cost. Hundreds of third party modules are available from the DNN Store. The CMS framework also supports unlimited channel portals. Localized – multi-language localization allows both the website and Accord LMS to be translated into any language. Six different languages are provided out of the box. Flexible - your LMS can easily be deployed to any Microsoft IIS web server whether it is self-hosted or hosted on our servers as a trouble free SaaS solution. Supported - Basic and extended support available directly from the Accord LMS team which has the full backing of DNN Corporation. The Accord Team is Fully Certified.